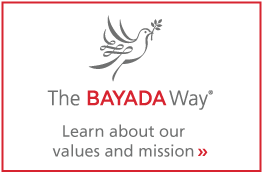 Matt Kroll began his work with BAYADA Home Health Care in December, working in Assistive Care and Adult Nursing. His career in home health care began more than 10 years ago, where he discovered comfort in helping clients receive the care they need in the comfort of their own homes. 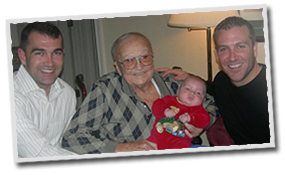 Here Matt candidly shares his journey through the last year of his father’s life and his intimate experience with home health care. My family’s home health care story began in 2007. The extremes of happiness and sorrow I experienced that year will be ingrained in my memory forever. My wife gave birth to my first son, Dylan, on August 30 of that year. Dylan brought happiness to our families in a way I can’t quite express with words alone. In the waiting room, while my wife endured 26 hours of labor, my Dad sat patiently, but complained of being uncomfortable. I didn’t think much of it at the time, since no one is ever quite comfortable in a hospital, let alone the waiting room. But this was the beginning of nagging back pain that would lead him to the doctor and a diagnosis of stage four terminal cancer. In October, he was told he had six months to live. Dad do you have a will? Dad, have you thought about if you want to stay home or if you have to go into a hospice house, facility etc? What are you talking about? I feel fine. I will deal with that when it comes up. Ask your mother what she wants. Dad, do you want to do anything, go anywhere, see anyone? I would be happy to take you? Where am I gonna go? I am old, people can come here…I am too tired to travel…Where is my boy anyway? (meaning his grandson). Don’t come down here again without him. I was zero for three, shot down at every turn. All my years as a health care professional didn’t change the fact that this was going to be so much harder then I could have ever imagined. “Maybe I should look into services? ?” she said “. Everything was okay?” she said. My first thoughts were panicked: how was this happening to me? I sprang into action, looking to get my dad 24-hour home health aide coverage. I drove home ready to tell my parents the plan when my mom said she would begin a reduced work schedule. She had also arranged for volunteer hospice caregivers four hours a day. I must say I was pretty humbled calling the home health care agency back to cancel services. With these arrangements made, the only thing left was to tell my father. We knew he would resist. As a typical WWII and Great Depression survivor, he was a fiercely independent and proud man. We didn’t think he would be okay having strangers watch over him. So we went through all the ways we could get my dad to accept help. We rehearsed our rebuttals: he really needed the help and it was time to take it. If he didn’t take it, he might have to go into a facility. Then the hospice nurse arrived and we discussed our plan with her. She simply smiled and asked to talk to him alone. With a sense of relief to leave the conversation in someone else’s hands, my mom and I sent her in to talk to my dad. Getting my dad the care he needed at home meant my dad was able to live his remaining days with family, in “his chair,” sleeping next to his wife each night. It meant on his “good” days, he could share his life stories and experiences with us. Like the day he passed his secret crab cake recipe to me, sitting in his chair, scowling, calling out directions while I worked to prepare his recipe and get it all down on paper too. All of these special things were made possible because my dad was able to stay in the comfort of his home. On June 13, 2008, with his family and hospice nurse at his bedside, he passed away. This experience allowed me to see home health care services through a whole new set of eyes. It reinforced my belief that home is the best environment for someone to receive care. It inspired me to work even harder each day to help others bring health care into the homes of their loved ones. I hope that one day, every person has the opportunity to receive the care they need in the comfort of their home.